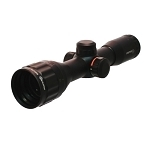 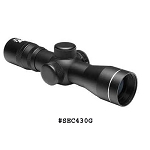 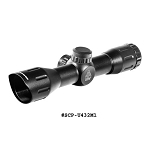 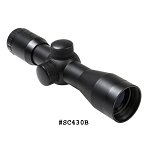 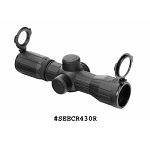 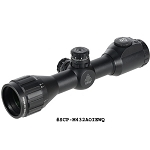 4X Compact Rifle Scopes - Compact rifle scopes provide a shorter, lighter rifle scope and work quickly for target acquisition. 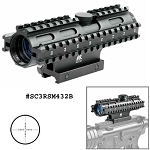 We provide the best quality compact rifles scopes ideal for hunting rifles, self-defense, and semi-auto rifles from NcStar, SNIPER, UTG, and Lion Gears Tactical. 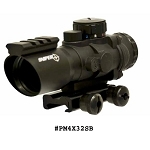 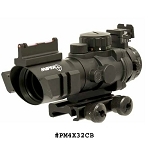 4x fixed power compact rifle scopes are great for an AR-15, AR10, AK-47, SKS, Mini-14, M1 Carbine, shotgun, HK, CETME, M1 Garand, M14, Mosin Nagant, SCAR, or any rifle that accepts a scope. 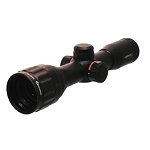 SNIPER 4X32 1 Inch Compact Scope with Adjustable Objective, Red/Green Illuminated Range Estimating Mil-dot Reticle, with Flip-up Lens Covers and Scope Rings.